In this matchup of two great teams, the Woodinville Mustangs matched up against a Davis Pirate team, fortunate to ride their momentum that far into the tournament. 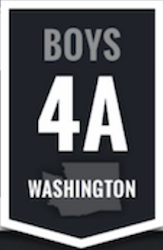 Squeaking by Gig Harbor and fortunately not having to play Wenatchee, they found themselves in the 4A state semifinal with a legitimate shot at the finals. Their lack of size played a factor early, as Woodinville controlled the glass and paint for the majority of the first half. Both of these teams struggled offensively in the second quarter. Davis, with senior star Max Jones in foul trouble, were able to score just six points in the frame. Fortunately, their defense stayed tough, and they held the Mustangs to eight. Pick it up in the third quarter, Max Jones commits his fourth foul and Woodinville gets a leakout basket to go up 11, momentum 100% in favor of the Mustangs. 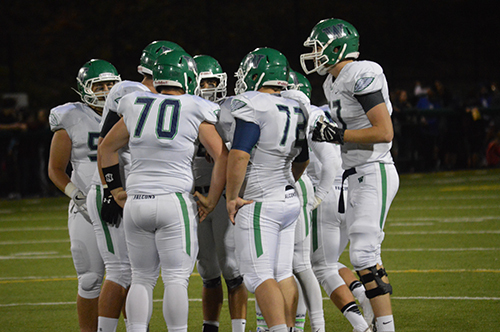 But The Pirates pulled off six straight points to cut the lead to 5, and Woodinville cooled off from the field dramatically. Davis committed 7 fouls in 4.5 minutes, somehow putting the Mustangs in the bonus early in the third. Woodinville failed to attack the basket and continue to win the game from the line, giving Davis a chance to gain the lead going into the 4th. But an ill-advised early shot in the shot clock leads to a transition bucket for the Mustangs. The Pirates trailed by just 2 entering the fourth. Davis continued their momentum into the fourth, scoring the first eight points in the quarter to take a six point lead. 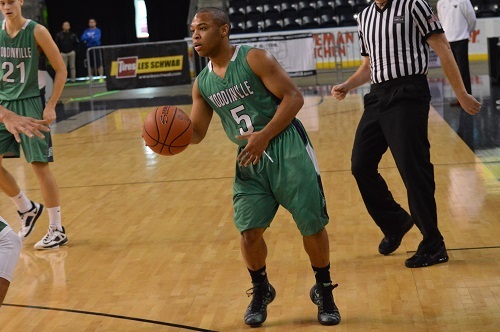 Woodinville was stride for stride with the Pirates until Micah Johnson, the Woodinville point guard, picked up two fouls in less than 30 seconds to disqualify him from the game. From there, it was all Davis. 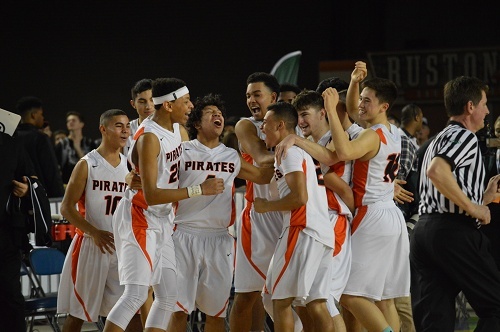 Max Jones and Nick Navarro carried the way for the Pirates, propelling them to 63-52 win. A crucial 4A KingCo Crest battle between Woodinville and Redmond took place at a chilly Pop Keeney Stadium in Bothell on Thursday night in front of animated student sections. The league win at stake created a playoff-like environment with the postseason on the horizon. The Falcons drew first blood with a goal line push by Mosses Lee. A big run by Brad Roland set up the score nicely. 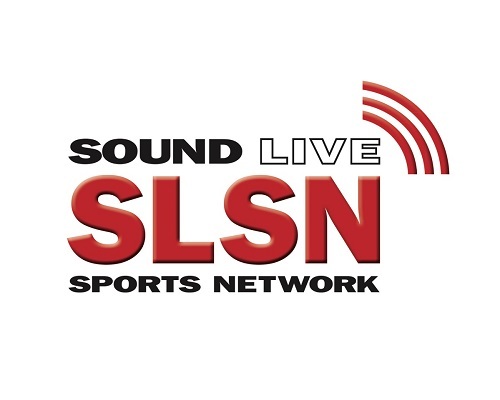 Redmond woke up in the second quarter by recovering a fumble and turning it into 7 on a 57-yard pass by Zach Wheat. Before halftime, the Mustangs found the end zone once more on a scramble by Wheat. The pocket broke down so the senior tucked and ran it to the corner pylon after getting key blocks downfield. The teams headed to the locker room at 14-7 with Redmond on top. The Falcons wasted no time to get the offense rolling as Dylan Axelson busted past the goal line on fourth down with less than three minutes into the quarter. At this point, dropped passes, penalties, and short-lived drives started to define the game. The punt unit for each team worked overtime throughout the night, so field position was crucial to build momentum. Redmond regained the lead in the fourth on a 1 yard touchdown run. 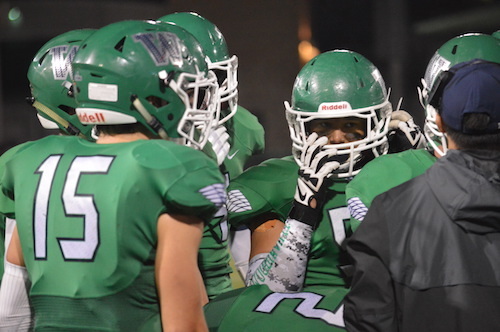 Woodinville trailed by 4 points with less than 3 minutes remaining when they received the ball. A clutch 4th down reception kept the chains moving. With 0:47 left, Will Jack floated one to Micah Hamilton in the corner of the end zone to grab a lead late. On the ensuing Redmond drive, Ian Biddle picked off a desperation pass. 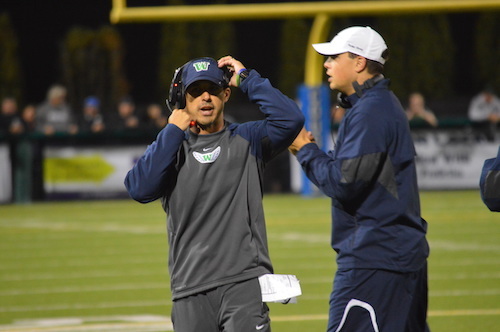 When the dust settled, Woodinville escaped with a 23-20 victory.